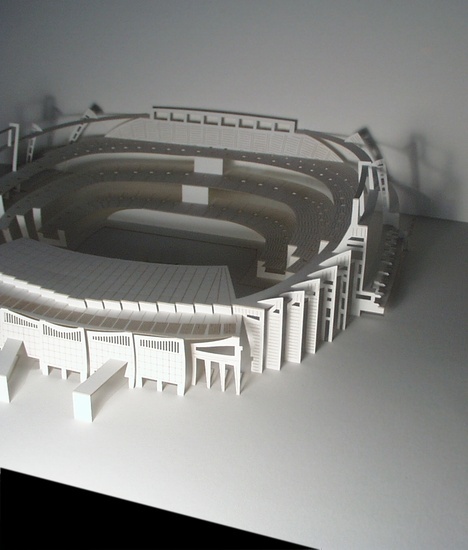 The original Camp Nou card seen from the side. The final invitation cards has been cut and folded from the design by Point to Paper (http://www.pointtopaper.com/). It was an extremely difficult job and they did an amazing job.